Cards like new in original box. Out of print. This beautifully illustrated kit includes the Running Press Miniature Edition of the book The Goddess Within and a deck of 50 full-color Goddess cards for meditation. The book features wisdom from such modern goddesses as Katharine Hepburn, Aretha Franklin, Bette Davis, Madonna, and many others. 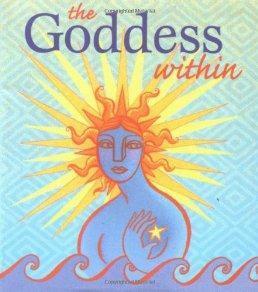 Learn how to use the unique collection of illustrated cards to provide insights on creativity, purpose, vision, and the power of the goddess as it exists within every woman.